This year I thought I would try S5 because I'm incorporating more RGB props and I like what I see in S5. Unfortunately I'm running into some problems trying to insert a purchase Superstar sequence. In my display I have a 12 CCR ribbon tree with a 270 node RGB star. I also have purchased sequences that I'm trying to incorporate into my sequence. 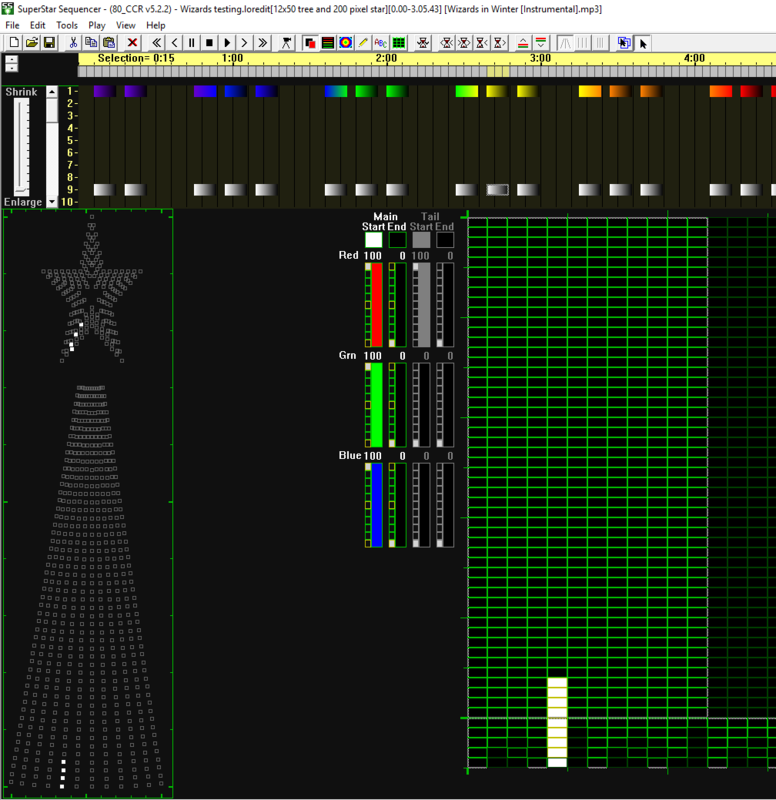 Most of these sequences were programmed on a 12 ribbon tree and a 6 channel star. I followed the tutorials for Inserting a Superstar sequence into a sequence. 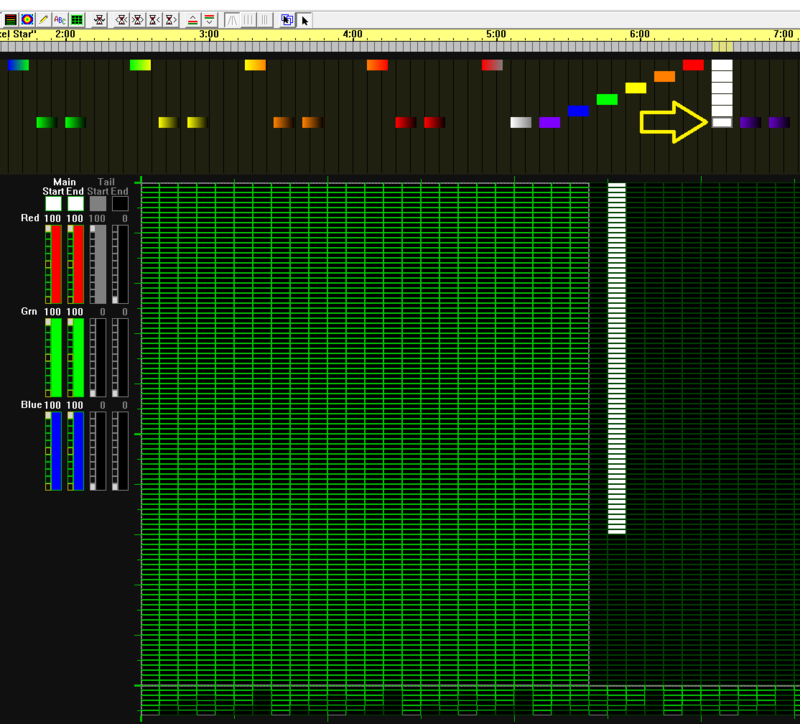 In the tutorial it shows that you can import a 12 ribbon CCR tree with a 6 channel star. Unfortunately Superstar doesn't seem to have a prop that matches my configuration. I tried to insert the sequence using the Superstar prop, CCR Tree - 12 strings with 6 channel star, in it's current configuration. But because the 6 channel star is configured for traditional lights it won't control my star. So I tried to reconfigure the star and make it an RGB star the sequence wouldn't run in Superstar. In another effort I inserted the prop but deleted the 6 channel star and it ran fine. In S4 I was able to cut and paste the row of the traditional star into my RGB rows using Multiple Paste feature. 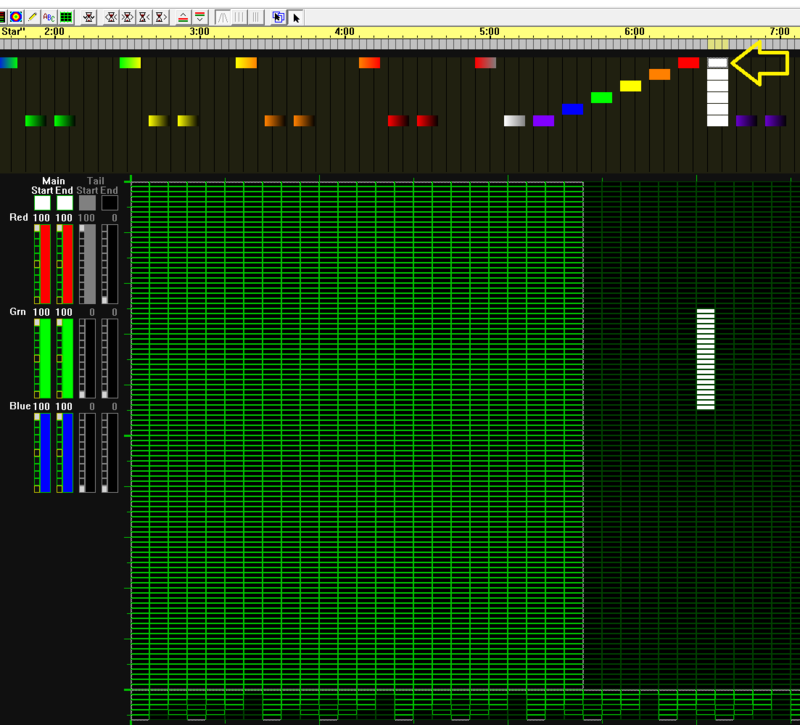 However, I did that using the S4 Sequencer and not the S4 Pixel editor. So what I'm looking for is a way to insert my purchased Superstar sequences into my sequence that matches my configuration. 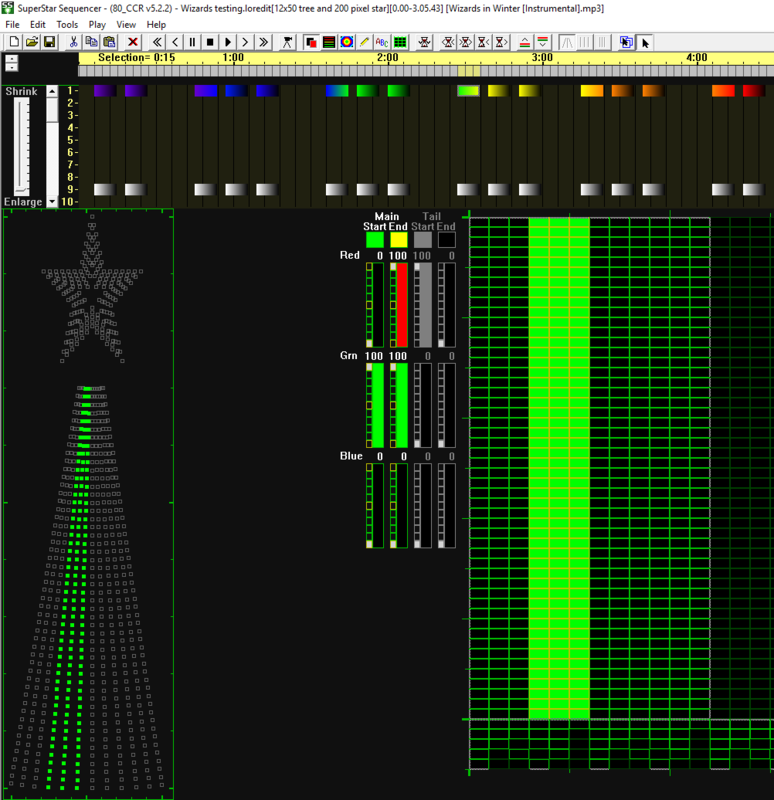 Is there a way to configure the 270 node 6 row star to make it look like the 6 channel star so that I can cut and paste from the 6 channel star into my 6 row RGB star? Short answer is that it is not a difficult problem. Longer answer when I get back to a computer. I have a 270 channel star prop for both S4 and S5. Glad that k6ccc has a prop you can use. 2) right click on the selection and select "insert superstar effect"
5) when you play the sequence you should see the 6 channel sequencing on your RGB star. All of the effects will be white and will look as if it was the 6 channel star. The only other thing is that superstar is hard coded to assume you are using the standard 200 node star. So what happens is that only the first 5 stars of your 270 node star will have effects on them. K6ccc, what happens when you do the above steps on the 270 node star prop that you have for S5? I followed your steps using K6ccc's pixel star and unfortunately it doesn't seem to work. I also imported the 12 Ribbon CCR tree and star from Superstar. I followed the steps to insert my Superstar sequence into the default configuration and it seems to work fine. Then I converted the prop to match my configuration which again is a 12 ribbon CCR tree and an RGB 270 node 6 row star. The ribbons seem to work ok but the star doesn't. I'm not sure if it has an impact but I'm not using LOR controllers. I am using equipment which I purchased in a package from HolidayCoro. So to run my 12 CCR tree I'm using an Alphapix 16 controller. Each of the 12 ribbons are in their own universe 1 thru 12. The 270 node RGB star is run on an Alphapix 4 controller. The star is configured from the inside out. So the innermost star is Row 1, 2nd next star is Row 2, etc. The star is configured as follows. Row 1, which is 20 nodes and maps to Universe 13, channels 1 thru 60. Row 2 is 30 nodes and maps to Universe 13, channels 61 thru 150. Row 3 is 40 nodes and maps to Universe 13, channels 151 thru 270. Row 4 is 50 nodes and maps to Universe 14, channels 1 thru 150. Row 5 is 60 nodes and maps to Universe 14, channels 151 thru 330. Row 6 is 70 nodes and maps to Universe 15, channels 1 thru 210. I am contacting K6ccc to see if we can't put our heads together and try to figure this out. Using different controllers is not a problem. In S5, What superstar does is look for 6 channel star commands, and if they exist, then it looks for a prop with the word "star" in it. If a star prop exists then it converts the 6 channel star effects into effects at the location of the star prop. 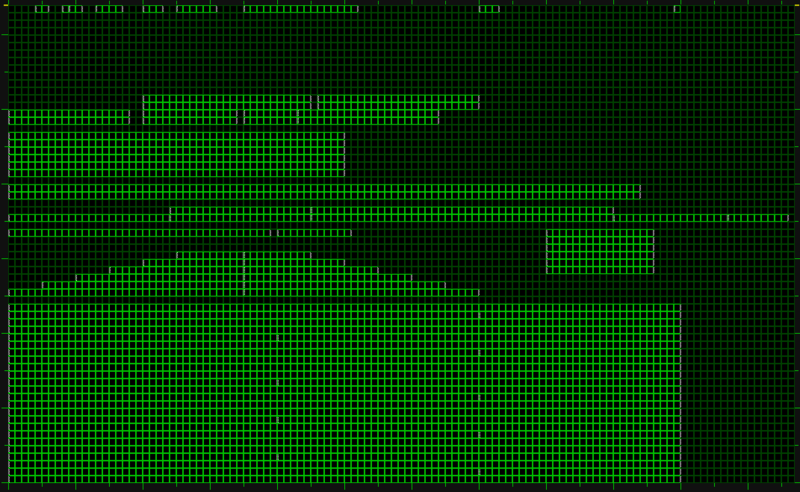 But it assumes the green sequencing grid for the star is laid out the same as the 200 pixel RGB star that I use. Does the rgb star prop that you are using have the word "star" in the name of the prop? When you use the 12 Ribbon CCR tree and the RGB 270 node star and load in a superstar sequence, does superstar display a message saying it is converting the star effects? Can you send me the prop you are using? Yes, in fact I'm going to send you the preview also. The preview has four different sets of props; 1. - Superstar, 2- HolidayCoro CCR Tree and Star(270 nodes), 3. K6ccc - pixel star, and 4. Boscoyo 36" ChromaStar. Yes all of the 4 props I've been experimenting with have the word "star" in them. For my HolidayCoro star I followed their constructing and configuring the star in S5. If you would like a copy of the instructions then reply to my email address, dhollida55@gmail.com. I will send you the instructions, the audio file and the sup file for the song I'm been experimenting with. That way we'll both be on the same page. Brian, I will be contacting you directly as I spent quite a while on the phone with Danny last night. I was trying to do the same conversion he was trying and it failed for me as well. I will send you a bunch of data a little later this evening. Thanks for the files. I will be able to look at this on Monday. Hopefully I can fix whatever the problem is within a day or two. First is a scene that is only on the tree. That is correct. Next up is a scene that is supposed to be on the star. It SHOULD have been the outer ring of the star. Last up (for now) is a scene I created that is supposed to be the outer ring of the star. The problem is that the outer ring has 60 pixels and I can't see or select anything beyond the 50th pixel. This screen capture was taken will in maximize screen mode. If I use the Windows "Restore Down" button so that SuperStar does not occupy the full screen, and then scroll all the way to the right as shown below, I still can't get past the 50th pixel. BTW, the screen resolution is 1920 x 1080 in landscape mode on Windows 10 Pro. It took me longer than expected, but I think I have it working for all cases that use a layout that puts each star in its own row or column. I will not be able to cover the case where the sequencing grid is laid out to look just like the star. Send and email to brian@superstarlights.com and I can give you instructions on how to get the SSEdit.exe with the fix in it and you can test it out. Thanks Brian. I have always placed the star on the grid as six rows as seen below. In the screen shot you show, I assume that is using S4? And I think you have sent me your visualization before, but I don't remember the name of the visualization. Can you tell me the name, or attach it to your post and I can test it as well. Yes, that was my 2018 Visualization which was created in S4 Visualizer but used with S5 SuperStar (directly into SS - not by way of S5 Sequencer). I will send you the file when I get to a computer. Success Brian! Well, close enough. For the first test, I created a new S5 Preview with a 12x50 pixel tree and 270 pixel star, and then a group that contained both of those arranged as a vertical stack. Created a new test sequence using that preview and using the music for Wizards of Winter. I then selected the entire motion effects row for that group and inserted SuperStar effects. Once in SuperStar test version v0.1902.23, I opened the original purchased version from you of Wizards in Winter (the DIY version that does not have macros). It imported properly. Of course that version only has six channel star. Exited SuperStar and allowed the import into Sequencer. 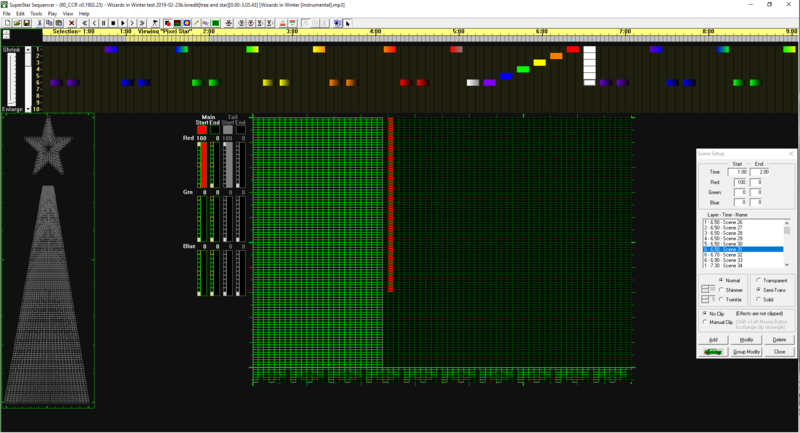 The sequence played properly in S5.2.2 sequencer. So far so good. For the second test, I created a new test sequence using my Christmas 2018 preview and using the music for Wizards of Winter. The Christmas 2018 Preview has my 24 x 100 pixel tree with 270 pixel star on top. The tree and star are in a group arranged as a vertical stack. I then selected the entire motion effects row for that group and inserted SuperStar effects. Once in SuperStar test version v0.1902.23, I stared a second copy of SuperStar, and on that second copy, I opened my 2018 version of Wizards in Winter. This has all 11,215 channels of my 2018 show except for the P5 and P10 panels that were sequenced in S5 Sequencer as Motion Effects. In the second copy of SuperStar, I expanded the group of grid lines that contains the pixel star. Once there, I selected all six rows for the star, selected all and copied the scenes. Then moved over to the first SuperStar session and pasted at the appropriate time. This copied the entire star for the entire song, but not quite correctly. However it makes sense what it did. Below are two screen captures. I make my life easier in that on the SuperStar grid, all effects for the innermost ring of the star are on grid layer 1, the next ring on layer 2, and so on up to the outermost ring on layer 6. Because it's not overly obvious in the screen capture, on both, I added an arrow pointing to the scene that is selected. The locations that show on the grid actually make sense because of where the star is located on the grid in my 2018 Christmas Visualization (as shown a couple of posts above). Because of the way that I do the layers for the star, it was easy to select each row, and group edit the locations. Not quite ideal, but I can deal with it. I do still have the issue with only 50 pixels showing as shown in the last two captures in my post last Sunday afternoon. You can see that in the two captures below as well. I did find a work around however. My actual screen resolution for the monitor that is normally displaying the grid is 1920 x 1080 (landscape). If I use Menu > View and change the size to "Larger", I can get all 70 pixels to show - as seen in the third screen capture below. Unfortunately that makes the grid squares quite small. Realize that the only code I changed had to do with converting 6 channel star sequencing to an RGB star. I'm not sure I understand your 2nd test case. It might be easiest if I remote into your computer and you show me exactly what is happening. I will email you. Will this code correction be available to other anytime soon? I am not authorized to say when releases are to be done. But I can say that it will be in the next release, and it will be in both S4 and S5. Did this change make it into 5.3.4 that was released today?